This beachside studio condominium apartment is located in the Ashford 890 Condominium complex in San Juan's El Condado district. A new listing well worth the cost! A studio apartment with fully equipped kitchen, Air conditioning, Cable TV, Full Size Futon, a Twin Size Futon, Telephone service . 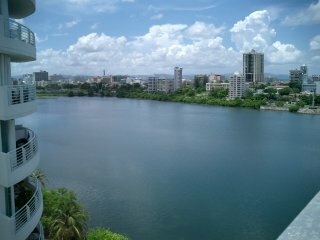 All bed and bath linens, off-street parking, ocean side balcony with views of the both Ocean and Condado Lagoon. 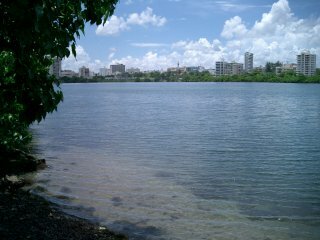 Located in the popular Condado district of San Juan, Puerto Rico. DSL Internet Service is now available!